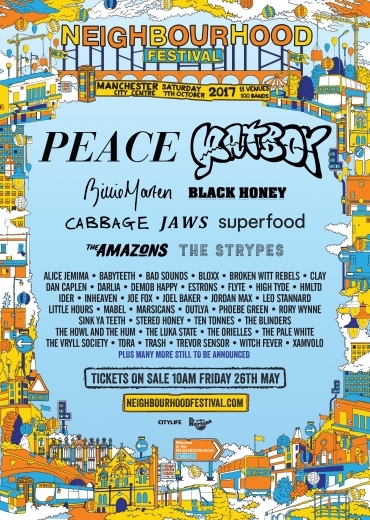 Book tickets: Neighbourhood Festival ft. The View, Rat Boy + more. After last year’s sell out at its inaugural event, Neighbourhood returns this October with its one-day city-wide festival with a packed bill featuring over 100 acts. A satisfying blend of up and coming artists as well as established names, this year will see The View perform their debut album Hats Off to the Buskers to mark its 10th anniversary, with The Subways, Peace and Rat Boy joining them as headliners. Venues on hosting duties include Albert Hall, 02 Ritz, Gorilla and Deaf Institute, so you’ll be able to make efficient work of ticking those bands off your list with the stages’ close perimeters. At £30 a ticket for the monster list of acts, it feels like a steal. See the full line up here.